Find Avon, IN Homes for sale. View Photos, Maps and MLS Data Now! Bridgewater Avon - This home has it all, just waiting for you!! ! MLS#21633787. Keller Williams Indy Metro W.
Harvest Ridge - Backyard is tree-lined and private, and features a complete fenced back yard. MLS#21633304. Carpenter, REALTORS®. Bridgewater Avon - Don’t delay – schedule your showing today. MLS#21633093. 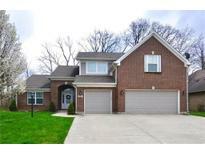 Keller Williams Indpls Metro N.
Ians Pointe - Close to Shopping, Restaurants, Night Life & Airport. MLS#21633791. Highgarden Real Estate. Thornhill Woods - Entertain in Huge back yard that includes half BB court, Fire pit and gorgeous views of the Prestwick golf course. A Must See! MLS#21631833. Snyder Strategy Realty, Inc. Situated right in between Avon & Brownsburg so you have Easy Access to the Newly Renovated Downtown Brownsburg, I-74 plus Downtown Indy! MLS#21633483. Berkshire Hathaway Home. Avon North - Home is close to Washington Township Park, walking trails, and disc golf! MLS#21633542. F.C. Tucker Company. This is a well-maintained home that is ready for your personal touches! MLS#21633216. F.C. Tucker Company. Sunchase Woods - Hurry this home wont last long! MLS#21633492. The Indy Realty Shop. The huge deck is great for entertaining, and you will find yourself surrounded by wonderful wildlife. This one is a must-see! MLS#21632934. Craftsman Realty Group, LLC. Parks At Prestwick - Lots of storage and new HVAC. MLS#21631768. RE/MAX Centerstone. Oak Bend Estates - Garage cedar clost. Never pets, smokers, kids. MLS#21629054. Win-Win Real Estate. Reserve At Bridgewater Avon - You don't want to miss out on all this home has to offer. MLS#21630826. Homewise Realty LLC. Cedar Mill - Walking distant to Avon High School! MLS#21632279. RE/MAX Legends Group. Ians Pointe - Mini Barn for extra storage of patio furniture etc. MLS#21632372. Community Real Estate Group. Avon Trails - Excellent location just minutes from shopping and dining. Community offers a neighborhood pool. MLS#21632025. Keller Williams Indy Metro NE. Sunchase Woods - Great Schools, Closet to Shopping and Highway for easy commute. MLS#21632263. Berkshire Hathaway Home. 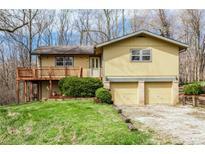 Timber Bend - Beautiful lot and outdoor deck makes this the perfect house to entertain! MLS#21632251. Harvest Realty Group LLC. Bridgewater Avon - Step out onto the large paved patio with pergola & a natural gas fire pit all over looking the recently fenced in back yard and beautiful pond. The sunsets are amazing here! MLS#21632275. RE/MAX Centerstone. 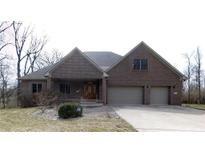 Home sits in Avon Community School district just minutes from great shopping and food! MLS#21632362. Keller Williams Indy Metro W.
Avon Trails - Other great things about this home are the walk-in closets in all bedrooms, laundry room, large entry way, vaulted ceiling, neighborhood park and pool and close to interstate access for faster commutes. MLS#21632313. Innovative Home Realty. Fenced in back yard, and large patio offers a great place to play and entertain. MLS#21632106. Whalen Realty Group, LLC. Parks At Prestwick - Awesome Family Home and Open Concept is Perfect for Entertaining. MLS#21631718. RE/MAX Centerstone. Parks At Prestwick - Impossible to find full Finished DAYLIGHT basement! Located on a Cul-de-sac! 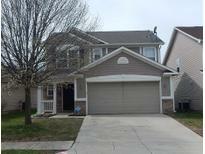 MLS#21628303. F.C. Tucker Company.